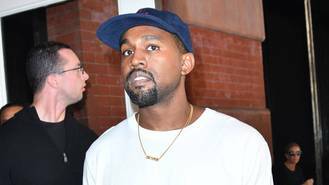 The 39-year-old rapper took to the stage at the Forum in Inglewood on Thursday (03Nov16) for the sixth night in his run at the venue as part of his Saint Pablo Tour. However, his punishing schedule appears to have taken its toll on the father-of-two, who had no choice but to cut the evening short when his vocals failed him. As he struggled through his track Only One, Kanye then called time on the performance, telling the crowd: "Turn on the lights - show's over. I'm so hoarse. "I can’t let you have a show where I can’t perform for you. I’ll give everyone a refund, I promise I'll do better next time." According to insiders, Kanye's early exit came 45 minutes into the show - with just ten minutes left in the concert. The show was Kanye's seventh in just nine nights. The current leg of the Saint Pablo tour was due to end 29 October in Las Vegas (16), but Kanye added three extra shows at the Forum, due to demand. The rapper will have some time to rest and recover now, as he's not scheduled to perform again until 17 November (16) in San Jose, California. His Los Angeles shows have proved popular with the celebrity residents of California, with Katy Perry, Harry Styles, DJ Khaled and Usher among the famous faces seen at Thursday night's show (03Nov16). Kanye's wife Kim Kardashian also attended several of her spouse's Los Angeles shows, with the rapper showing his gratitude with a video tribute that he made for her 36th birthday last month (Oct16). Sharing the footage, Kanye declared: "I'm so lucky to have my wife here right now." Kim has only been seen on a handful of occasions since she was targeted in an armed robbery in Paris, France, on 3 October (16) - she has been hiding out in the couple's Los Angeles mansion following the ordeal.